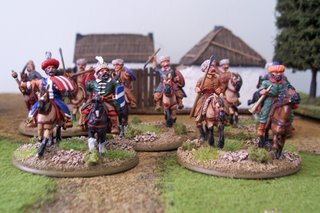 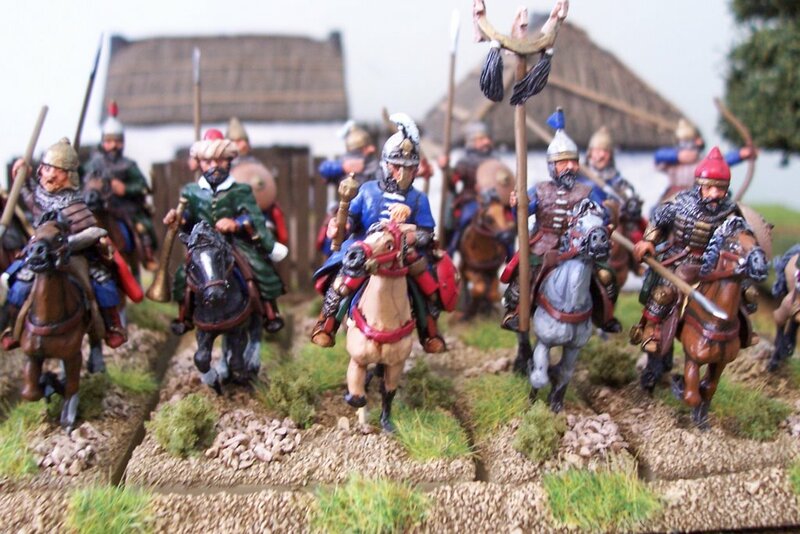 More Tartars, light cavalry and a close up of the heavies, once again they are all Essex Miniatures and the lights are mounted on Old Glory horses (lights are on GW 60mm round bases, which I feel looks good for skirmishing cavalry). 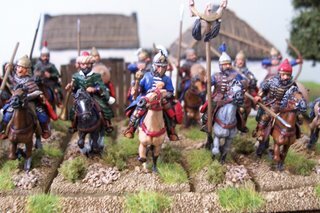 Some of you may have noticed that some of the figures have a slightly glossy look? This was a result of a so called spray matt varnish going wrong, I am sure many of you have had the same problem and I am still looking forward to finding a good and consistant matt spray (would really hand varnish everything if I wasn't so lazy).